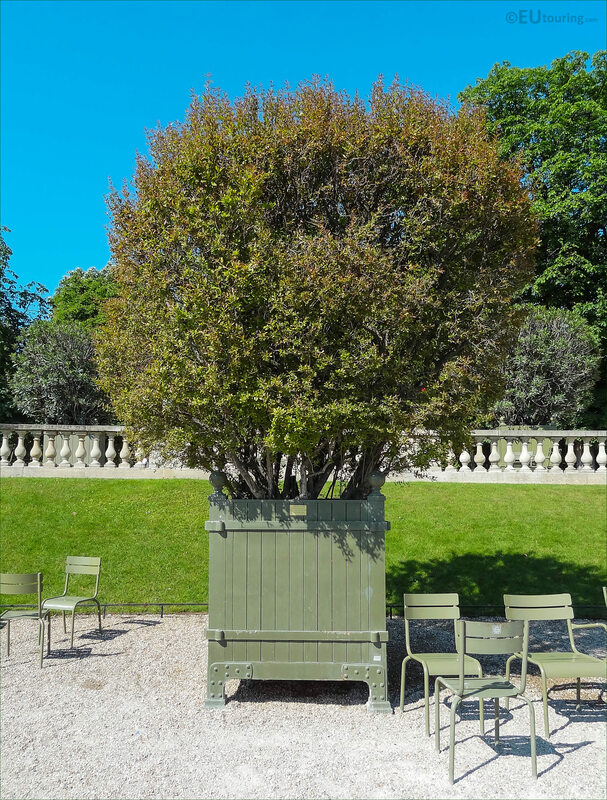 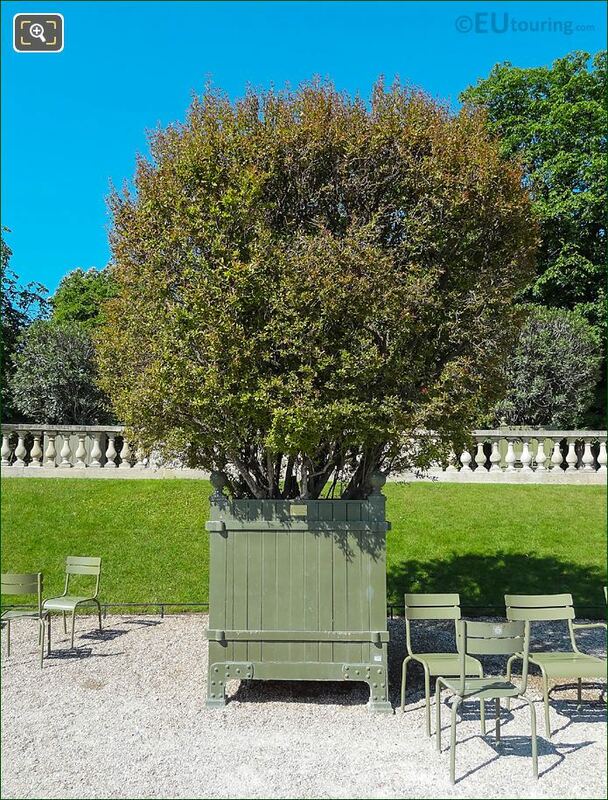 Here you can see a Pomegranate tree located below the western terrace of the Luxembourg Gardens, which is in the central formal part of the garden, which has become a free public park and popular tourist attraction in the 6th Arrondissement of Paris. 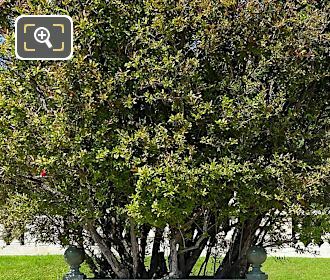 This next photo shows a closer view of the foliage on the Pomegranate tree, which has a botanical name of Punica Granatum Flore Pleno, and if you look carefully you can see one of the reddish-orange flowers, and this is actually a double flower variety that when in full bloom resembles a carnation. 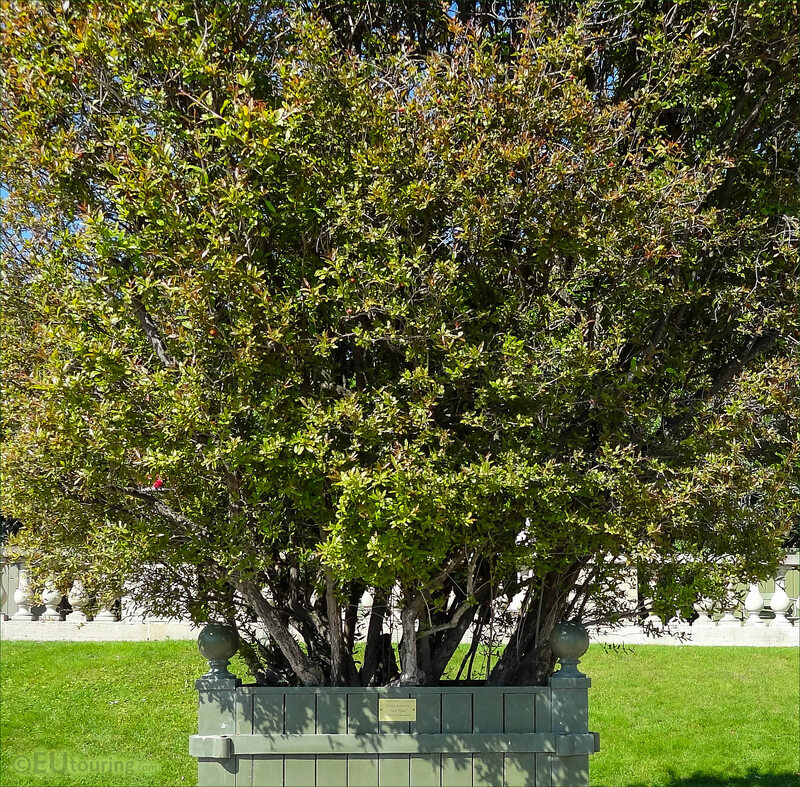 Classed as a deciduous tree or large shrub, as you can see from this photo, most Pomegranates are actually multi-stemmed, rather than having a single trunk, and this is one of the reasons why they are sometimes used to form hedges, but this particular type of Double Flower Pomegranate is popular for being grown in pots. 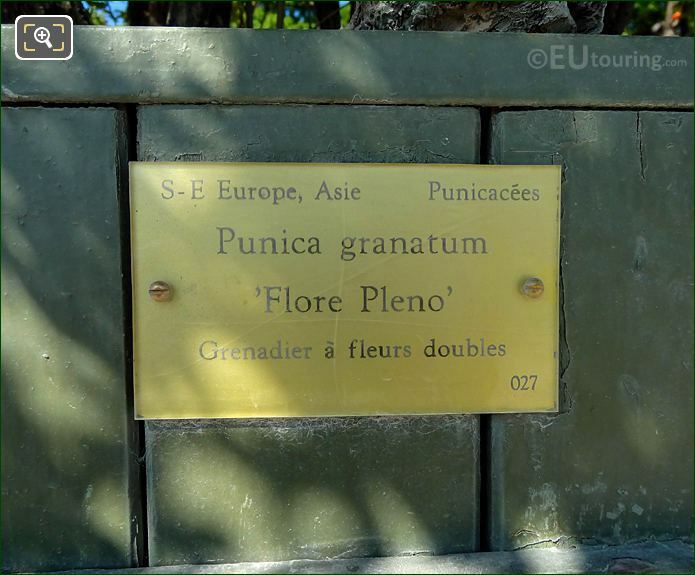 Yet this next image shows a close up of the tourist information plaque located on the green crate that holds the Punica Granatum Flore Pleno, and as you can see this is pot number 27, and this type of Pomegranate tree originates from the South East Europe and Asia, however, it is also found in many other places that have warm summers, as they love sunny locations.